A calming space is an area in a classroom where a student can go to help the student relax, refocus and recenter. Sometimes, school situations or the classroom environment itself can create sensory overload or over-stimulation for some students. In addition, students who find themselves reacting or responding negatively to a peer interaction can oftentimes use the calming space to remove themselves from the situation and/or create a pause instead of reacting. The calming space can be as simple as having a rocking or bean bag chair – or could also have room for stretching, or other simple sensory supports. It is important to respect the student's time in the calming space and only engage in conversation or processing of the events after the student has calmed down. A Picture Choice Card with 12 different calm down strategies that can be independently implemented in the classroom by the student. This picture choice card gives students a non-verbal option for selecting a strategy to calm down when feeling angry or upset. This resource can also be printed and used as visual reminder of different choices available in a Calm Down Space in the classroom. A poster to designate the calming space in your classroom. 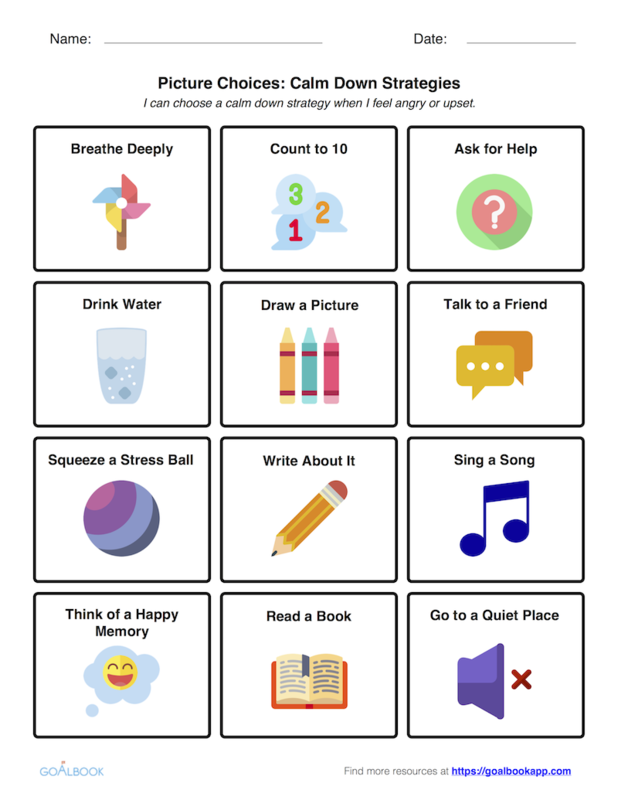 The poster can be displayed in an area that students can use to when they need to take a break or perform calming activities. 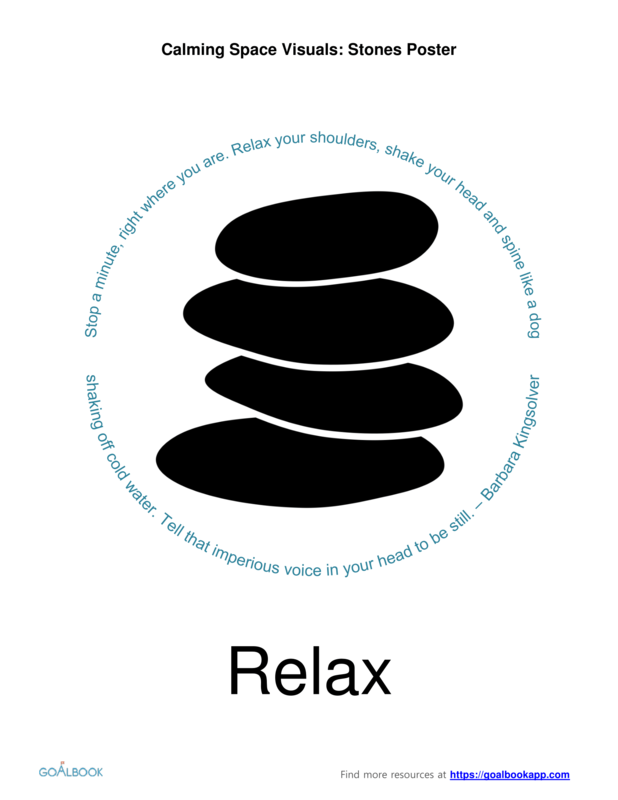 A collection of posters with calming images and quotations. 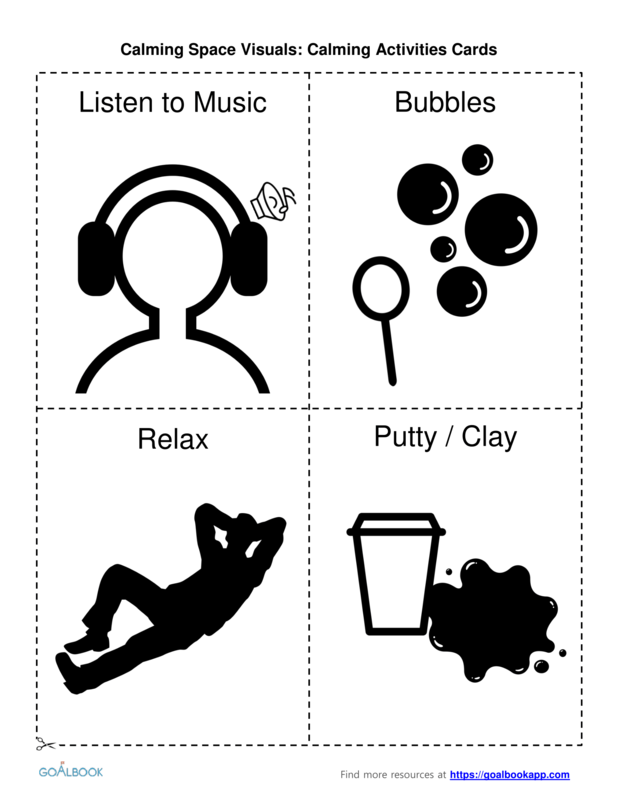 These posters can be displayed in an area that students can use when they need to take a break or perform calming activities. Two sets of cards with calming activities that can be used for display or for student choice. For students needing support in requesting time away from the classroom activity and/or a challenging situation, have visual cue card available and accessible to the student. The student can use this card to request a break or take time away. The student may still need some support in using the card and teacher prompts could be helpful in teaching the student how to use the card. Within the calming space, you can have additional strategies or tools that may support the student in calming down. For example, having CD players with calm music may support the student in focusing internally rather than being distracted with the external environment. Within the calming space, be clear with timing. If students are in the calming space for breaks or between activities, have a plan for transitioning the student back to the academic activity. For self-imposed time-outs, implement or incorporate plan and process for re-entry into the classroom. It is important to be clear about how and when the calming space can and should be available to students. A student has finished an academically challenging task and would like to decompress. The student can access the calming space for a break and has a specific period of time before coming back to another academic activity. A student finds himself in a situation with another peer or peers that he may react negatively and hasn’t yet learned how to appropriately respond in this situation. 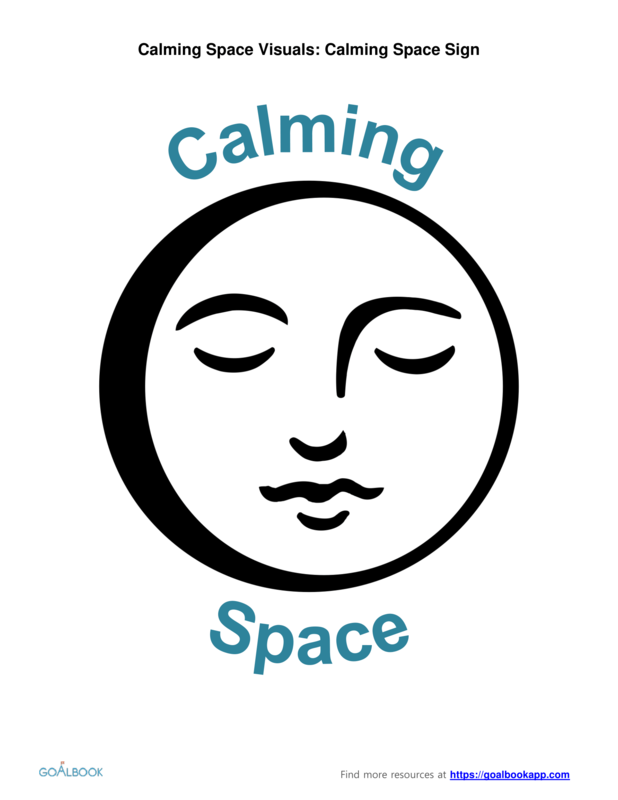 The student requests to remove himself from the situation and take some time in the calming space. When the student is ready and supported, he may go back and address the situation, communicate his needs or process the situation. A student is playing with another group of students. During the play, the student becomes overstimulated and starts to be more rough with the other students. In order to calm down, the student takes some time in the calming space to relax, refocus, recenter and bring his sensory system back in cohesion.